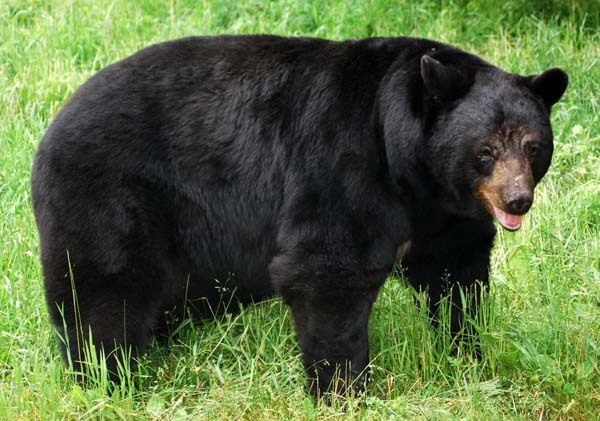 The American black bear is a species of medium-sized bears found in North America. 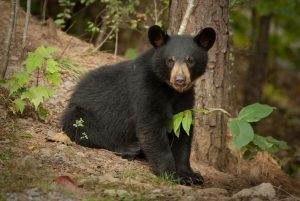 Since its population has grown over the last two decades, it has become the most familiar and widely distributed of all the bear species in America. Despite their name, black bears exhibit variation in coloration. 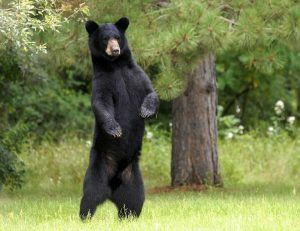 It is believed that this variability is related to the diversity of their habitat, as bears with lighter colors are found in open habitats. The black bears, being solitary animals with opportunistic feeding behaviors, typically forage alone during twilight. However, they will tolerate other bears and feed in groups if sufficient amount of food is available in an area. 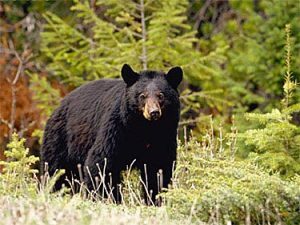 Depending on regional weather conditions, black bears usually hibernate for 3-8 months. They may hibernate for a brief period, and may wake up to forage for food in regions where the winter is comparatively warm throughout the winter. American black bears mate during June-August, during which the female bears remain in estrus. A male may have several mating partners, but in order to claim a female, large, dominant males do not hesitate to fight fierce battles with other mature males. After copulation, the fertilized eggs do not attach and become embedded in the womb until November. 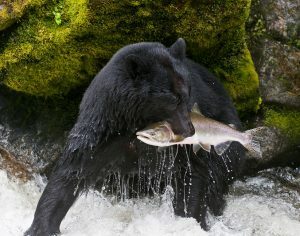 A delayed embryonic development takes place when the female bear is in its last few weeks of pregnancy. Litters are produced during late January-early February while the mother is hibernating in its den. Females typically construct dens in trees, caves, or by digging out large cavities in snow. 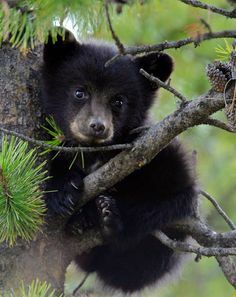 The black bear cubs are born blind, and they have an underdeveloped hind quarter. They can open their eyes at 28-40 days, while they start walking 5 weeks after birth. 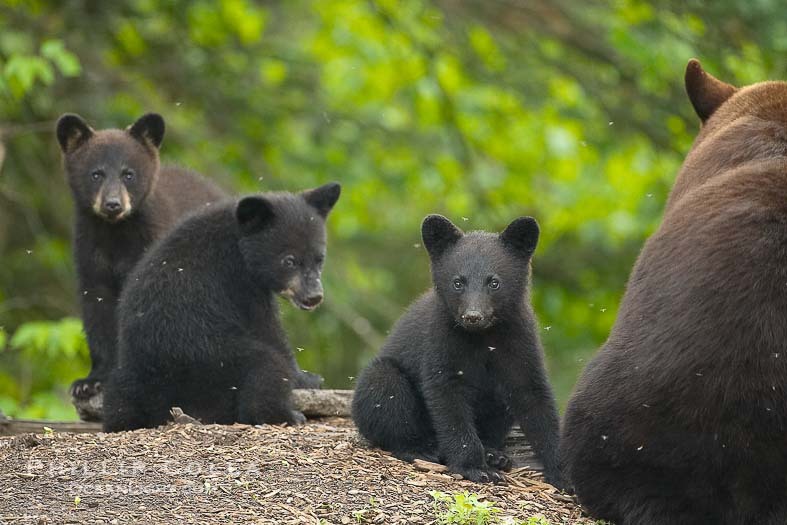 The young bears, weaned at 6-8 months of age, remain with their mother until reaching independence at 17 months. At that point of time, the mother bear again enters its estrus and thus, separates from its cubs to avoid the aggression of adult males during the mating season. Young bears attain sexual maturity at 3-5 years but become full grown at 10-12 years. 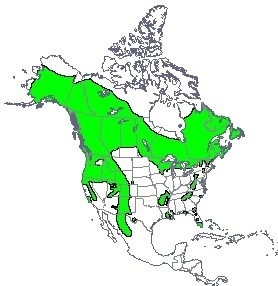 In Canada’s Labrador tundra, the American black bears occupy the niche of the grizzly/brown bears. 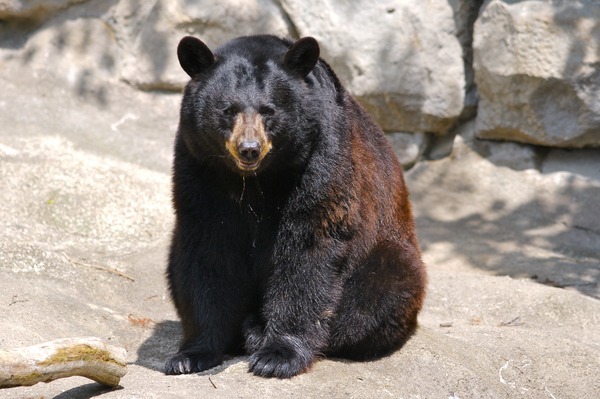 Known for their great strength, black bears can easily topple over large rocks weighing well over 300 pounds. They have a sure-footed, rhythmic movement with a running speed of 25-30 mph. 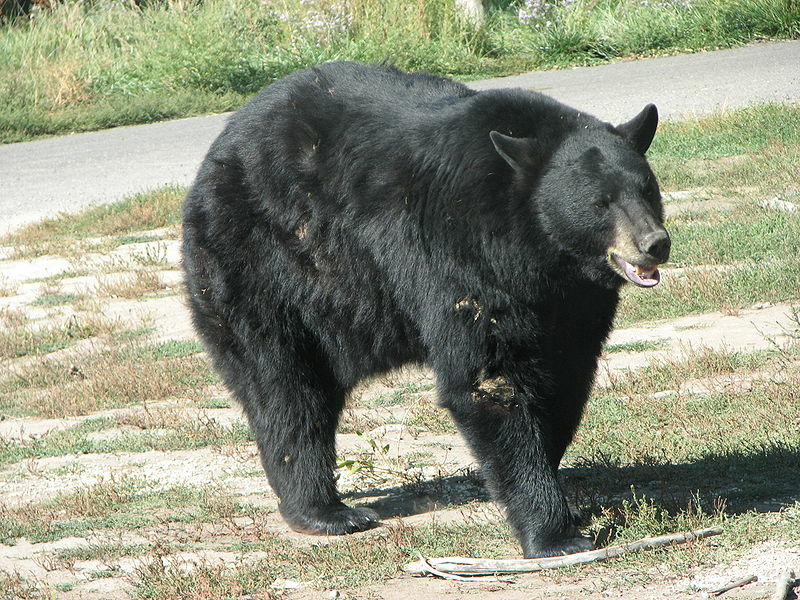 Some of the world’s biggest captive black bears are found in the North American Bear Center in Minnesota, where Ted, a male bear weighed 950-1,000 lb (431-453 kg) in 2006. Published on August 6th 2016 by admin under Coniferous Forest Animals. Article was last reviewed on 6th August 2016.